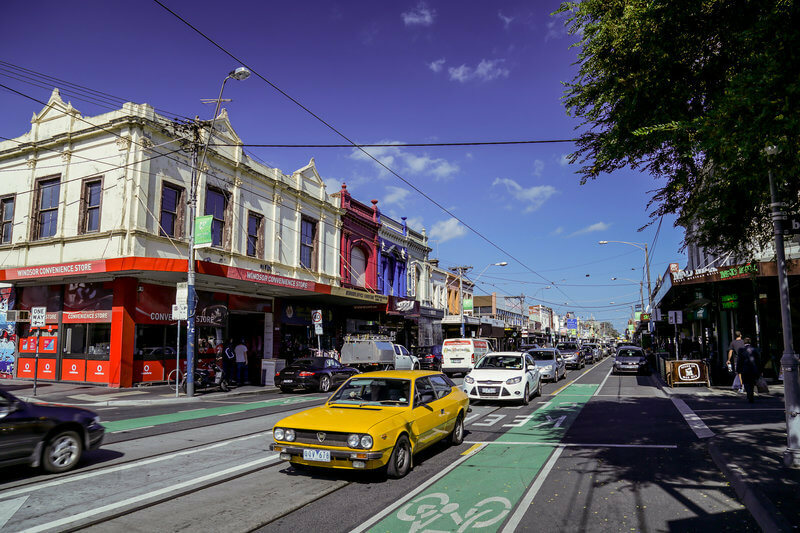 On this page you are provided with some essential road rules to follow when driving in and around Melbourne. Hopefully, this information will help make your road trip planning an easy and stress free process. Drivers and passengers must wear seat belts otherwise if caught not doing so will cop a hefty fine. 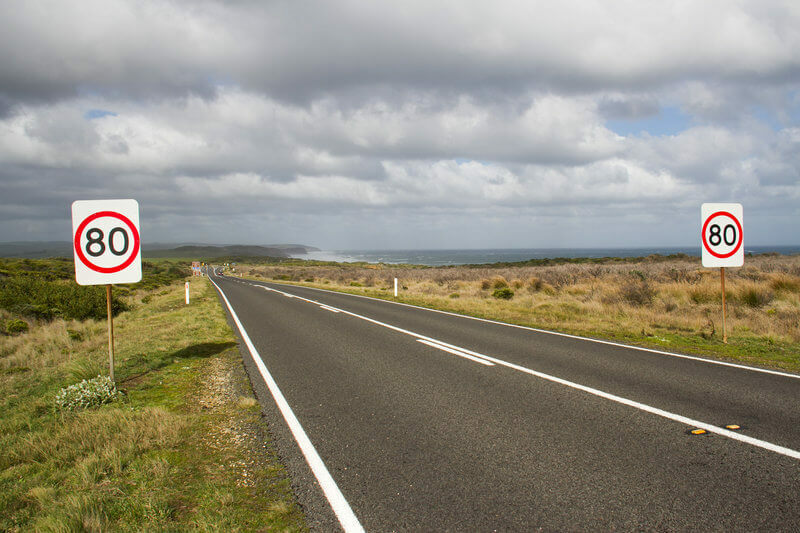 In Australia, you are not permitted to drive a car if your blood alcohol level is 0.05 per cent or higher. Your blood alcohol level must be zero if driving with a provisional driver's license. The use of drugs that affect your ability to drive is illegal. Penalties are severe if caught doing either. Major Freeways, most of these are Melbourne toll roads with 2/3/4 lanes to drive on. 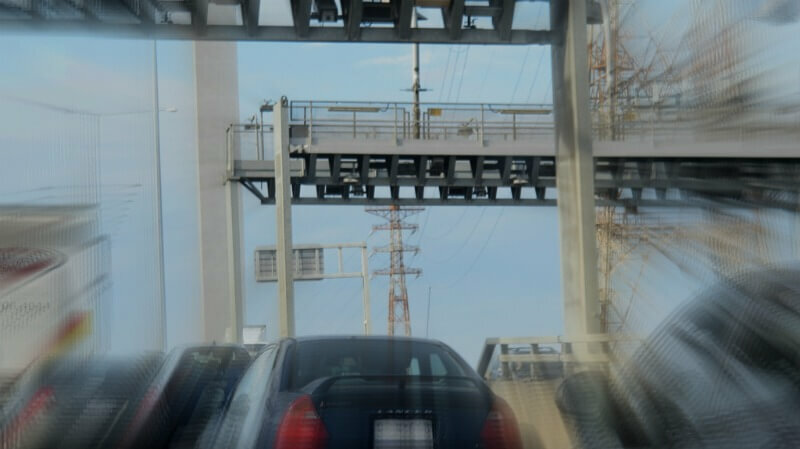 Toll cameras are fully electronic, so you will need to pay with an electronic tag or pass. Driving along you will notice cameras mounted over the road at specific points. Each time you pass under these cameras a charge is recorded against the number plate of the car. Motorists using various tollways have 72 hours to pay the toll after using the highway. If you don't intend to use a toll road often then you can buy a Daypass – by phone, online, at any Australia Post outlet or at participating service stations. A Daypass can be bought in advance or afterwards (until midnight three days later). If payment has not been made after three days, the vehicle's registered owner will be sent a late toll invoice in the mail, and if the late toll invoice is then not paid a fine will be issued. If you intend to use one or more toll freeways often then it is advisable and more convenient to set up an account. You will be issued with an e-tag that you can attach to your windscreen and this then is recognized by the toll camera each time you pass under it. There are signs on the freeways to announce the start and end of the toll sections. Be aware of these or cop a hefty fine if ignored. The Major Highways generally spread out from the Melbourne Central Business District and from other major cities and rural centres with secondary roads running off from these into the suburbs. Most routes carry quite substantial traffic and also serve as major arterial highways to other State's capital cities. These include highways such as Hume Highway, Western Highway and Princes Highway. **** Some of these major highways are semi tolled so be aware of the road signage. These roads have excellent driving conditions, are well divided with plantations in the centreways. 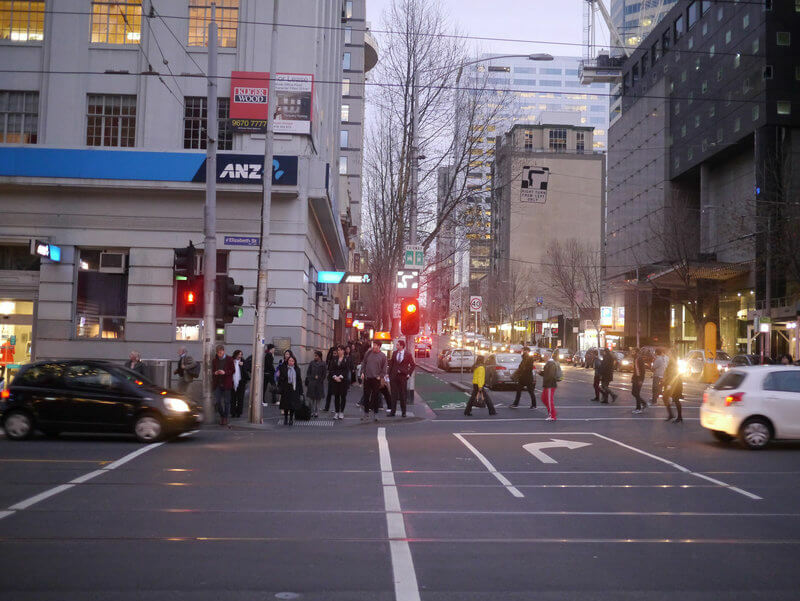 Most have four traffic lanes because of the high volume of Melbourne traffic that they have to carry. They have excellent line markings and most times line reflectors to make driving in difficult weather conditions safer. Great highways for night driving with visuals unimpaired. Suburban roads traverse through all Melbourne's suburbs. Some connect to freeways and others to major highways. Most suburban roads are either 1 or 2 lane roads and the general rule is to drive in the furthest left hand lane unless safely overtaking another car. Melbourne traffic needs to be very conscious of road street signs, speed road signs, give way signs, pedestrian crossings, school zones and traffic lights when driving through the suburbs. Traffic lights have improved over the years. When I first started to drive there were no traffic lights just what was known as a Marshalite. Since then these have been replaced with the typical red, amber and green timed traffic light. Traffic lights have improved over the years. When I first started to drive there were no traffic lights just what was known as a Marshalite. Since then these have been replaced with the typical red, amber and green timed traffic light. Go check out the 'Old traffic signal Marshalite' by Charles Marshall in the Melbourne Museum. 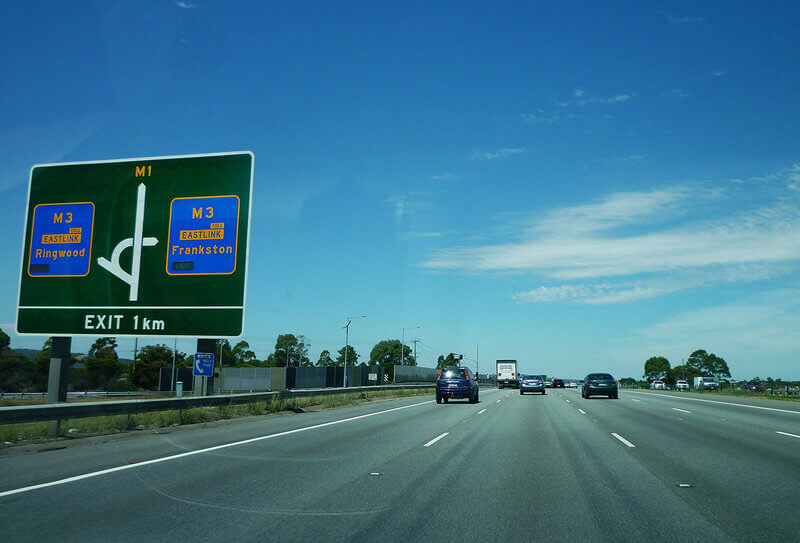 Throughout Melbourne's streets, highways and freeways, Melbourne drivers have to be consciously aware of speed signs. Normal traffic flows at a speed of 80kph with this reduced to 30/40/50/60 and 70 speed zones depending on where the road is, what time of day and any temporary road work sign that is displayed. Going over the speed limit is illegal and can incur a hefty fine and loss of demerit points if caught doing so. Speed cameras pop up all over the place, something that is supposed to keep drivers driving at designated speeds. Quite a few road intersections, ones usually with traffic lights, will have these cameras operating. Not only do they capture speedsters but also drivers who run the 'red light'. Registration number plates are captured and the offending driver is sent a fine. Extra care needs to be taken when approaching a school zone during specific times of the day. These are displayed clearly on the road sign nearby for all drivers to see. 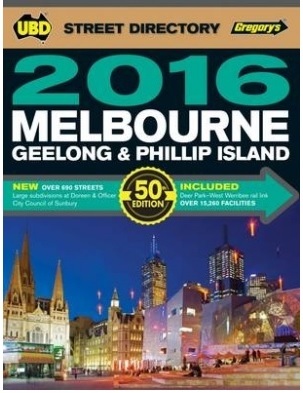 Here is a practical street directory allowing Melbourne Traffic to navigate its way through the Melbourne CBD, Melbourne's suburbs and the Victorian countryside. 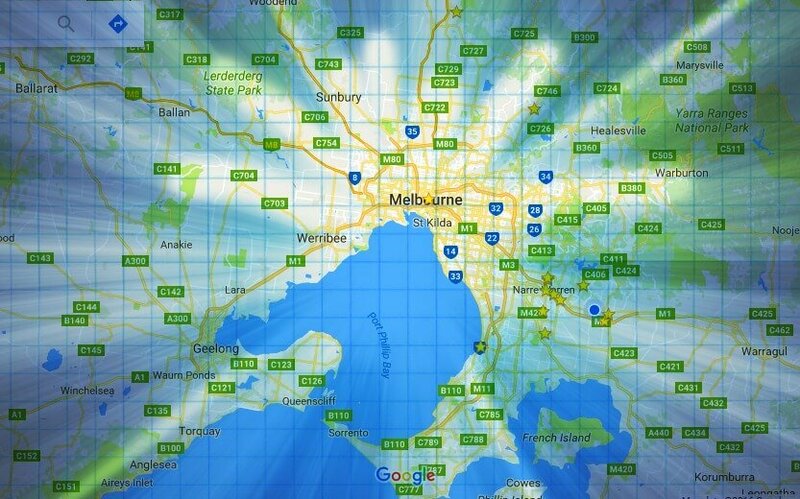 Known as the Melbourne UBD the directory offers clear, comprehensive and up-to-date mapping at the best scale, as well as easy-to-read street, facility and suburbs indexes. You'll find all of the detail you've come to expect from a UBD Gregory's product, with the latest updates on the streets you need to navigate. The UBD directory includes main roads maps and a state map with an index to towns. 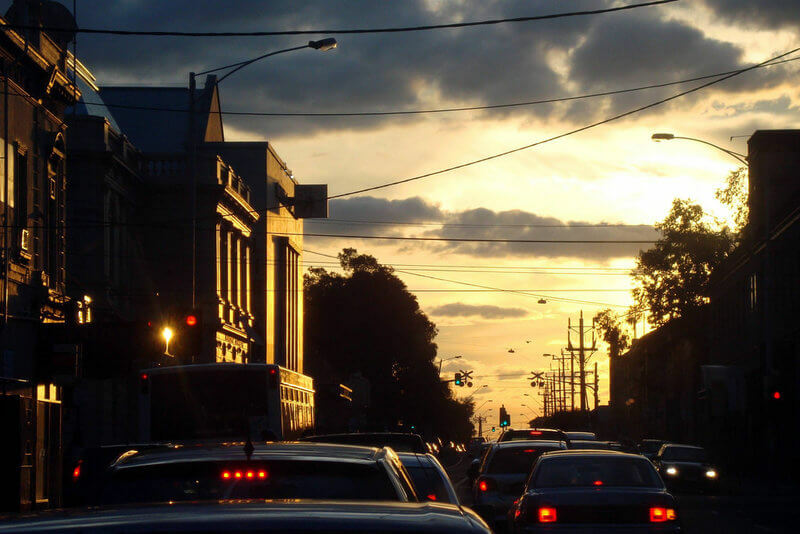 Melbourne City can be quite daunting to drive through if you are unfamiliar with the roads, any changes to traffic conditions or redevelopments. I always find it so handy to plan ahead and in this day and age it is so easy to do just that. Another modern day invention is the car sat nav (car satellite navigation). This car gps device will instruct you as to where to turn, what direction you are going in, if you deviate from your programmed destination, tollways, driving over the speed limit for that road and where speed cameras are operating. Before you head on out on that road trip sometimes it is best to check the road traffic conditions. 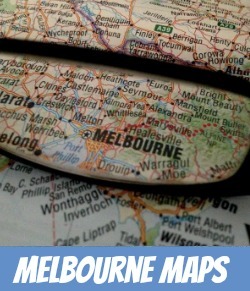 The RACV interactive road maps will help you here. These road maps are updated every ten minutes. Either will give you an excellent way to make your driving experience as pleasurable as possible. In the central city, cars are generally not allowed to travel on tram lanes, so designated right-turn lanes are not possible. The hook turn allows a clear passage of trams and also prevents right-turning drivers from having to wait or check that there are no trams crossing their pathway. Melbourne traffic needs to be aware that on some roads there are bike lanes specifically designed to keep the bike rider safe and the traffic flowing. These are usually obvious by the markings on the roadway and sometimes by the finish on the road itself. 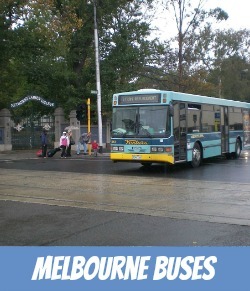 Buses also have these sort of designated lanes and are clearly marked on specific Melbourne streets. 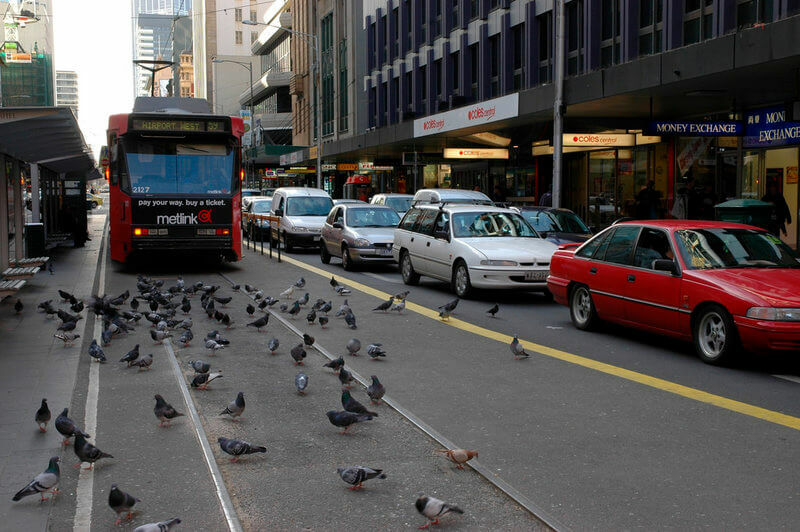 Tram lines are marked clearly so as to keep Melbourne traffic from disturbing their carriageway. Passing a tram requires considerable care. Trams have stop signs and indicators installed on them these days. Be aware that when a tram stops you must stop as well to allow it's passengers to get on and off safely. To drive through when a tram is stopped will incur a hefty fine. Last But Not Least - The Dreaded Peak Hour Rush! 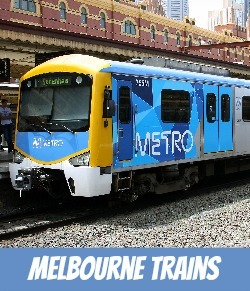 Unfortunately no longer restricted to one hour, Melbourne traffic has to contend with the morning rush which lasts about 2 and 3/4 hours and generally between 6.15am and 9am. I've driven the Monash Freeway after 9:00am and it has been terrible. Depends on the day and the amount of heavy vehicles that are using the road it appears. Just listen to the radio and follow their prompts. 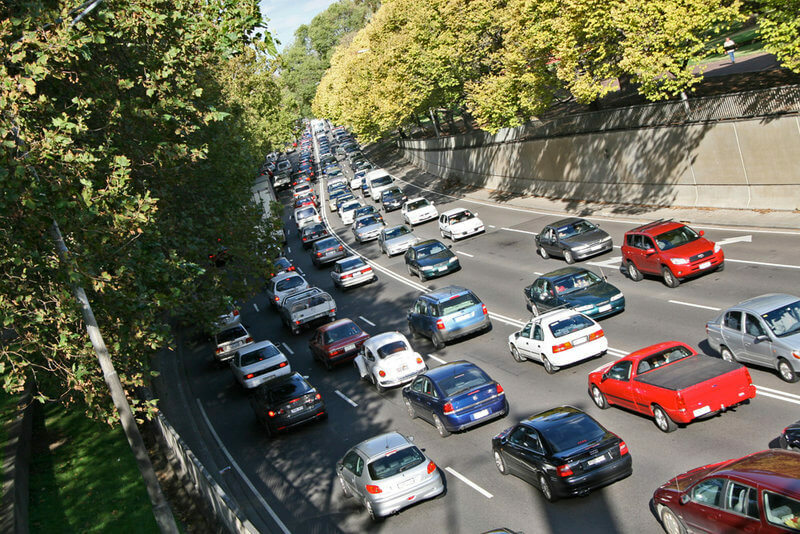 The evening peak hour on freeways now lasts about 3 and 1/4 hours, generally between about 3:15pm and 6:30pm week days. Weekends are getting busier with parents shuttling kids to sporting event and other activities. Check with the Google traffic map before heading out or leave plenty of time to get to your destination.